A Swedish film – made in Swedish, English and Danish – came away with the biggest cinematic prize in the world last night at the end of the 70th anniversary edition of the Cannes Film Festival. “The Square” – a sprawling satire set in a near-future where Sweden’s monarchy has been abolished – won the coveted Palme d’Or, as announced by a jury led by veteran Spanish film director Pedro Almodóvar. 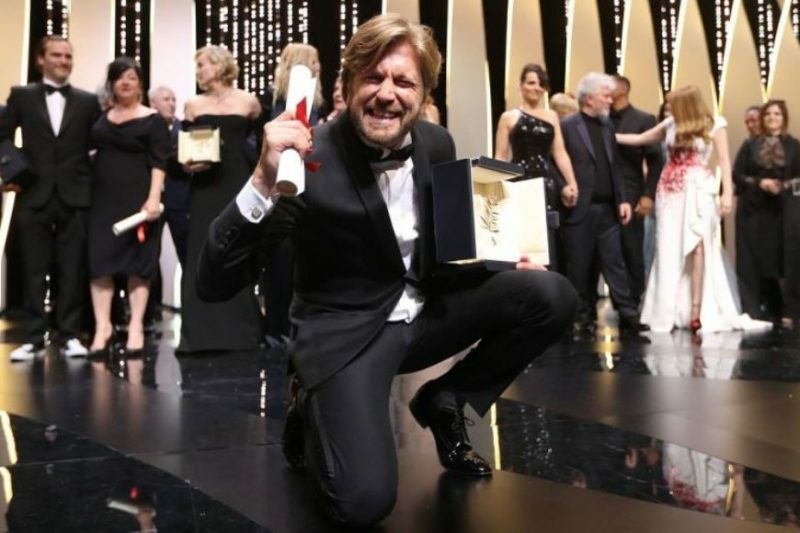 Its director – 43-year-old Ruben Östlund – is no stranger to Cannes. In 2014, his excellent film Force Majeure was selected for competition in the Un Certain Regard section; on which he then served as jury member last year. Many critics (and bookies) favoured the French AIDS drama 120 Battements par Minute to take the top prize but there was a certain unanimity amongst critics, films fans and jury members in the awarding of the Palme d’Or to Östlund. The winning Swede was in fine form as he took his prize to rapturous applause, egging on the crowd to shout with him. Pedro and his jury looked as if they were going to give him some kind of prize for his performance too. From an Irish point of view, there was success in the form of a joint prize for Best Screenplay being awarded to The Killing of a Sacred Deer. The American-set film – written by Yorgos Lanthimos and Efthymis Filippou and directed by Lanthimos (of The Lobster fame) – was developed and financed in Dublin by Element Pictures and the Irish Film Board and stars Colin Farrell and Nicole Kidman. The CST Jury decided to award the VULCAIN PRIZE FOR ARTIST-TECHNICIAN to: Josefin ASBERG for her remarkable artistic contribution to match the inventiveness of the film THE SQUARE.